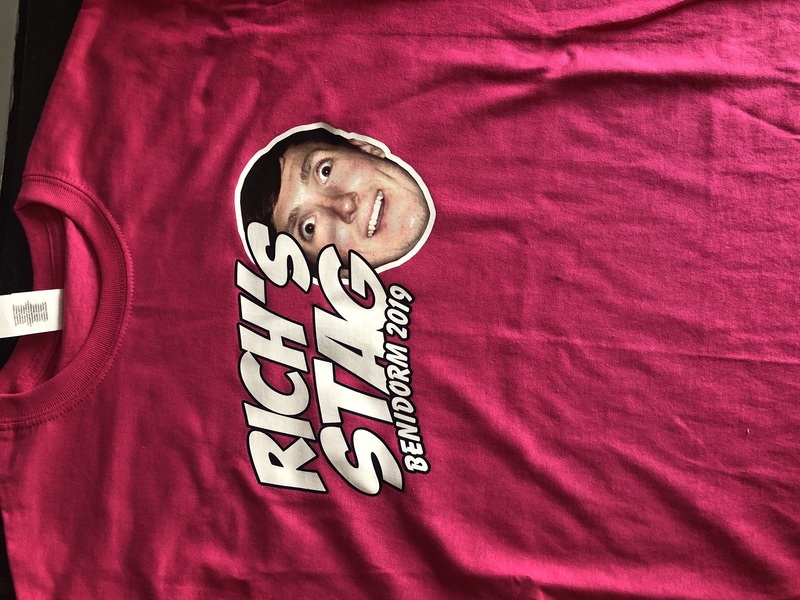 I can’t begin to express how pleased I am with my purchase which was for a stag do! I ordered late on Thursday evening and explained how quickly I needed then (my other half had left it til the last minute) and it arrived to on Tuesday. The quality of the print is also incredible and looks so professional and pretty cool! Definitely will be returning and will recommend! Thank you! Brilliant service from start to finish! Much more easy to use than all other websites I’ve looked at before finding this! So straight forward T shirts ordered, printed and delivered in no time! Ready for a 10 man stag do! Definitely recommend! Thanks again! Fantastic service and quality of printing. Would definitely recommend these guys. Steve was very helpful with sizes and ideas for what the t shirts look like and we were very happy with the product! First class job, very pleased and will use them again. 10/10 Cheers! These guys were great in service and the end product, competitive rates and good knowledge. Definitely recommend them to others. Requested a quote via the online system for 5 t shirts with our company logo on, price was really competitive so we went ahead, communication was great all the way through & the t shirts were excellent, the logo was embroidered which we were not expecting for the price! All round great service & would not hesitate to use again, thank you!